The Sunni Central Waqf Board disowned Sibal as its counsel and said that, in its opinion, the Ayodhya tangle should be resolved at the earliest. LUCKNOW/NEW DELHI: A day after a high-voltage drama in the Supreme Court in which lawyer Kapil Sibal pleaded that hearings in the Ram Janmabhoomi-Babri Masjid title suit be put off till after the July 2019 general elections, the Sunni Central Waqf Board disowned him as its counsel and said that, in its opinion, the Ayodhya tangle should be resolved at the earliest. Prime Minister Narendra Modi was quick to pounce on the disconnect while campaigning in poll-bound Gujarat. “I’ve no issue that Congress’s Kapil Sibal represents Muslims in the Supreme Court. But how can he argue that there can be no solution to the (Ayodhya) issue till the next Lok Sabha elections?” he asked at a rally in Ahmedabad. Earlier on Wednesday in Lucknow, the Sunni Waqf Board had distanced itself from Sibal’s submissions. Chairman Zufar Ahmed Farooqui said the Congress lawyer was not the advocate on record (AOR) for the Sunni Waqf Board, the original litigant of the title suit, and that he was representing Haji Mehboob, one of the private parties involved. Ironically, Haji Mehboob too pitched for an early hearing, terming Sibal’s submissions “his own opinion”. Farooqui said Shahid Hussain Rizvi was representing the Sunni Waqf board. On Tuesday, Sibal told the court that “since the temple issue finds a mention in the BJP’s 2014 general election manifesto, they may contemplate to use the issue to polarise the electorate with an eye on the 2019 LS polls”. Although the BJP had then promptly accused the Congress of trying to politicise the tangle, Modi waded into the controversy on Wednesday, praising the Sunni Waqf Board for distancing itself from Sibal. The BJP appeared on an overdrive to portray its rival as opposed to construction of a Ram temple in Ayodhya, with party boss Amit Shah asking Rahul Gandhi to clarify the Congress stand. 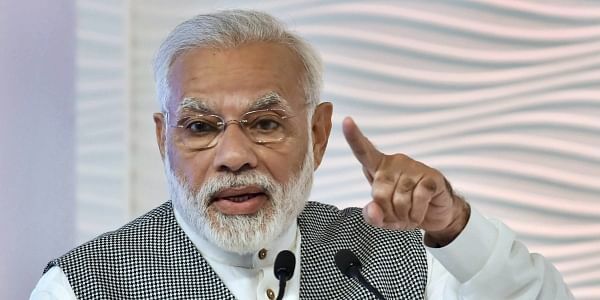 A Congress spokesperson claimed Modi was politicising a religious issue as he was rattled by the prospect of losing Gujarat. Sibal introduced another twist in the tale, claiming he was not the Sunni Waqf board counsel and that he represented Iqbal Ansari, also a party in the case. “Our PM comments without knowing things sometimes. I was never a Sunni Waqf Board lawyer. PM did not check the fact. And yet he thanked Sunni Waqf Board. I request the PM to be a little more careful,” Sibal told TV channels.